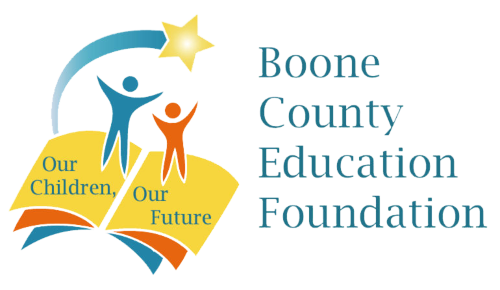 Individual Donations – If would like to support the Boone County Education Foundation, just click the Donate button and enter any amount. Logo placement on shirts and website, Plaque, Sponsorship recognition during announcements, Prominent display of your banner at event (you supply your own), Access to the VIP Lunch Lounge, 20 tickets to the Expo. Logo placement on shirts and website, Plaque, Prominent display of your banner at event (you supply your own), Access to the VIP Lunch Lounge, 12 tickets to the Expo. Logo placement on shirts and website, Display of your banner at event (you supply your own), Access to the VIP Lunch Lounge, 8 tickets to the Expo. Display of your banner at event (you supply your own), Access to the VIP Lunch Lounge, 4 tickets to the Expo.